HARD software has been providing software development and professional services for over 20 year,, mainly within the Australian energy industry, but also in risk management, financial services and the aviation corporate and enterprise sector. Our long history of providing solutions and being involved in over 30 generation projects, totally over 3.5 GW of renewable generation in the NEM, means that HARD software is uniquely qualified to help you with your new or existing renewable generation project. HARD software created the operations and trading software for the 100 MW utility scale battery in South Australia and is presently implementing systems for a number of battery projects. Find out how HARD software can assist you with your proposed or new battery project. Good short term generation forecasts are very important in the NEM and internationally for reducing anicillary service costs and improving system reliability. Find out how HARD software, as part of Dispatch Solutions, can help you to reduce your costs. The Australian electricity market has many unique aspects and potential renewable generation projects need to know how to efficiently implement, manage and operate wind and solar farm projects. Find out how HARD software can help you with your existing or new renewable project. HARD software was a partner with Neoen and Tesla to produce the trading and operations system for the Hornsdale Power Reserve implementation which is the largest lithium ion battery solution in the world. HARD software as a leading renewable energy software designer and solution provider provides the backbone software integrating for the integration of wind, solar, battery and SCADA systems. HARD software is experienced in the design and implementation of battery systems that are intended to integrate with external optimisation systems or run to a set of simple business rules. 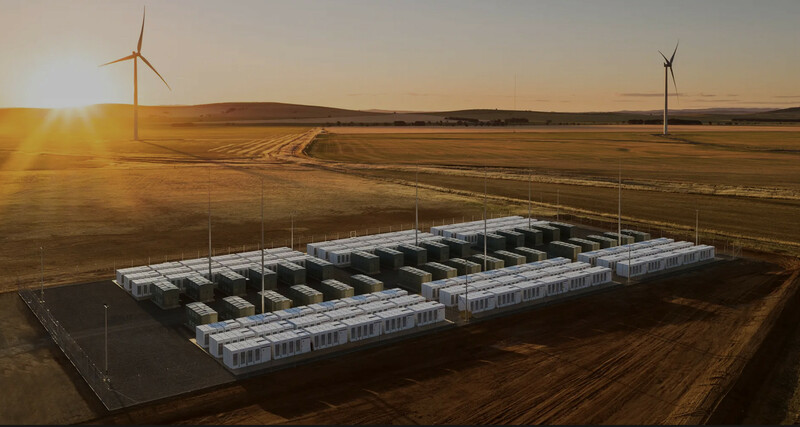 The design and implementation of the Hornsdale Power Reserve 100 MW battery in South Australia was a demanding project with a total duration of only 3 months for a greenfield development of the largest utility scale battery in the world. HARD software and Greenview consulting designed and implemented the trading and operation software for the system and had the system operation prior to first generation on 1 December 2017 and it continues to operate on a 24 x 7 basis. Find out more about the battery implementation and Dispatch Solutions, a joint venture between Greenview Consulting and HARD software for developing intelligent dispatch systems, in this presentation . HARD software is a world leader in the research and development of forecasting for 5 minute renewable generation and assists customers to implement the systems needed to enable reliable and accurate short term generation forecasts. HARD software, as part of Dispatch Solutions, is developing leading edge wind farm forecasting technology that combines the years of experience in the electrical industry with advanced machine learning expertise to produce a world leading forecasting system. Dispatch Solutions in conjunction with Solcast, is using satellite imaging technology with Solcast's years of experience in long term solar forecasting combined with our NEM market experience to produce a world class short term solar generation system. Renewable generation participants in the NEM face many challenges when trying to reduce their FCAS regulation costs that have been very significant for some generators in recent times. Regulation costs are determined from a generator's FCAS causer pays factor, as by default AEMO uses their ANEMOS central forecasting system with many known limitations and poor forecasts lead to high causer pays factors. By providing a generator plant's forecasts to AEMO, rather than use AEMO's limited forecasts, FCAS causer pays factors can be reduced and thereby result in lower FCAS regulation costs to the generator. In Australia and internationally, as the proportion of renewable generation in power systems increases, it becomes much more important that the system operator has accurate estimates of possible generation to ensure that system security is maintained. Better systems security leads to lower requirements for ancillary services and thereby lower costs for participants. Also accurate short term forecasts allow for reduced head room requirements for providing raise contingency services to the market and helps to lower the costs of providing these services. HARD software provides a wide range of consulting, hosting, systems administration and systems integration services for market participants including NEM market training, development of trading and bidding strategies, implementation of settlement processes, plant communications and system administration functions and fully supported corporate and on-site IT and communications systems. HARD software has extensive experience with both the design, implementation and commissioning of new renewable generation plant and can advise or deliver training courses for potential or new participants on the obligations of operating renewable generation in the NEM, how to efficiently manage and trade renewable generation and the key regisitration requirements that need to be considered. For existing generators, HARD software can advise on the systems and solutions to ensure the improved efficient trading, operation and management of your generation asset. As the levels of renewable generation increases, the trading and management of new and existing plant is becoming more demanding and the mitigation of potential financial and compliance risks is now much more complex. HARD software can advise on the systems and processes needed to ensure that these market risks are understood and actively managed through the means of alerting of market events, creating effective bidding strategies, monitoring of market outcomes using live dashboards and the implementation of automated trading tools.